Can someone point out the main differences? According to the book the recipes are quite similar in hydration and the difference seems to be a little sugar and oil. The reason I ask is that the high gluten flours that are listed for New York Style are not recommended for Neopolitan. Is this a flavor thing? Texture? 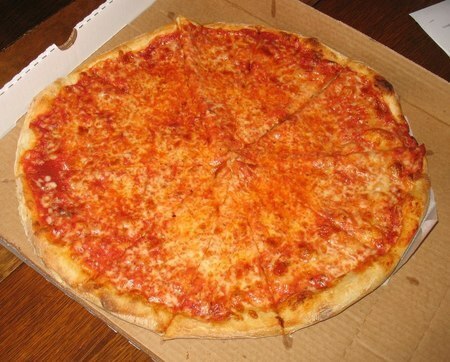 Most New York pizzas I see seem to be the same thickness after stretching too so I would love some clarification. A classic Neapolitan dough is made with a 00 flour and contains only flour, water, salt and yeast in the dough formulation. It's cooked at high temperatures, usually in a wood fired oven. The first picture is an example of a Neapolitan. 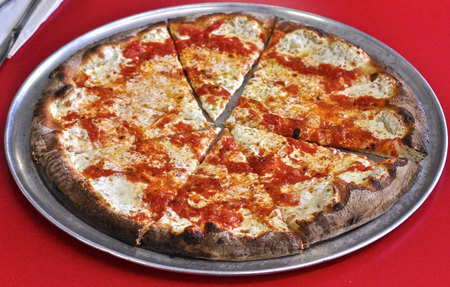 The New York style on the other hand is usually made with a high gluten flour, stretched to a larger diameter (e.g. 16-18"). It's breadier, baked at lower temperatures (450-550F) for longer time (7-10 mins). And as you mentioned, New York style doughs usually contain a combination of oil, sugar, malt, and sometimes egg. See the second picture. Using a high gluten flour for Neapolitan style pizza isn't recommended because it will burn in a high temperature oven. Also, the texture will be off. Too strong. 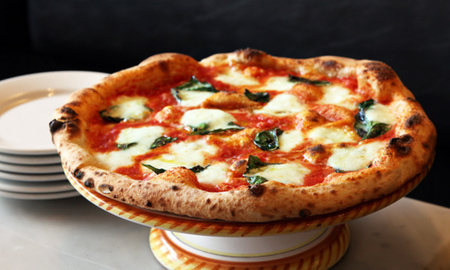 There's also a style of pizza called Neapolitan American or Neo-Neapolitan. Places like Totonno's, Lombardi's and Grimaldi's are known for this style. It's a combination of both: high gluten flour, higher temperatures. These are typically made in a coal-fired oven. It's absolutely amazing if done right and is one of my favorite styles. See third pic. Thank Raj. I'm going to open a place and obviously want to market the appropriate style. Doing tons of research now in between 12-15 hours a day in a kitchen cooking Japanese food!